Team Maji Safi Na Salama here to talk about our introduction of the MadiDrop in Central Tanzania! A brief description of the MadiDrop: The MadiDrop is ceramic water purification device that is embedded with silver nanoparticles that purify household drinking water through the slow release of silver. To use the MadiDrop, one simply drops the MadiDrop into the household water storage container, fills the container with 10 to 15 liters of water and waits 6-8 hours. Then after 6-8 hours, the released silver effectively kills any pathogens in the water making it safe to drink. One of the best features of the MadiDrop is its durability. A MadiDrop can be used for up to 6 months before replacement. Sounds great, right? 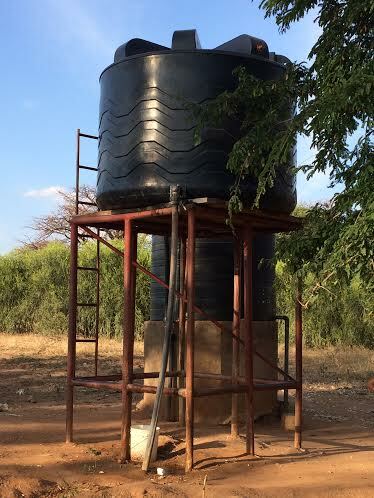 We wanted to see if it would be a good fit as a method of water purification in Central Tanzania. 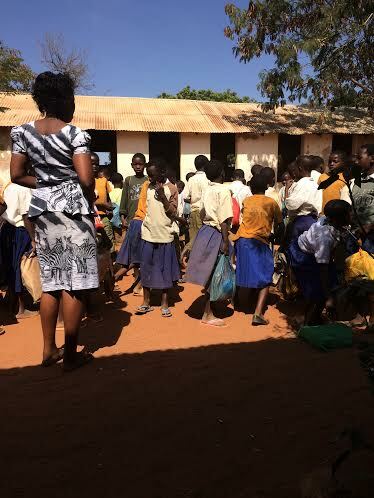 Our project focused on the village of Nzali just an hour outside of the capital city of Dodoma. Nzali is a good representation of a typical village in Central Tanzania, where the citizens are mostly subsistence farmers with very low incomes especially in the dry season. The project had two main objectives: the first was to determine if MadiDrops could be used effectively in a primary school setting, and the second objective was to determine the demand for MadiDrops in Nzali with a Willingness-to-Pay study. But before we could get started with the MadiDrop, we had to gather some baseline information on how water is used both in the school and in the household. For the school study, we observed the levels Standard 4 and Standard 7. We noticed that none of the students drank any water during the day nor was drinking water regularly provided. One of the teachers mentioned that sometimes students will ask for water at one of the teacher’s houses on campus, but most go thirsty. To see how water is used in the household, we conducted 50 one-on-one interviews from a sample of 70 Carpenter’s Kids families (our partner organization that helps supports at least 50 of the most vulnerable kids in each village across the Dodoma region). We asked simple demographic questions such as “How many people are in your household?” and “Are the children in school?” as well as questions about general water practices such as “Where do you get your water?” and “Where/How do you store it?” In addition we asked questions about water beliefs such as “What is the primary reason a child has to miss school?”, “Do you think you can get sick from your water?” and “How would you rate the quality of your drinking water?” The answers gave us an in-depth look into the water situation in Nzali. They usually come from a large household (at least 4-6 people) with at least some of the children in school and the parents having completed schooling up to Standard 7. The most common reason for missing school is stomachaches, most likely due to unsafe drinking water. In terms of monthly income, most households do not have a steady source as money fluctuates with the season. Because it is mostly rainwater agriculture in the Dodoma area, there is no income in the dry season. The most common purchases made by households are soap, sugar, salt, vegetables, and cooking oil. Sources of water also fluctuate with the season. During the rainy season, the main sources are the hand-dug shallow wells in a seasonal riverbed. 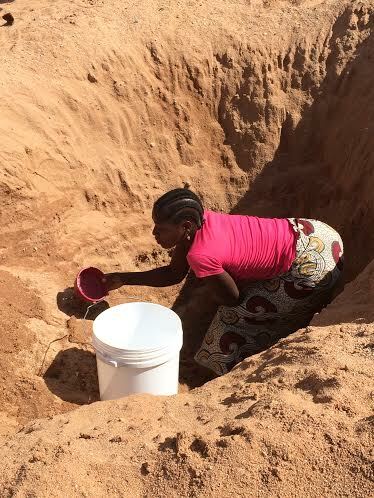 During the dry season, when the shallow wells are mostly dry, the main sources are the village taps, with water from the borehole (which most households recognize is a significantly cleaner source of water). Water is stored in a bucket that is stored inside the home, covered with a top, and cleaned at least once a week. Water is taken out of the container using a cup. Most people do not have to travel very far to get to the water, as they live within 500 m of a tap or a shallow well, although there are a few exceptions living far away by their farms outside of the village. Many households know that they get sick from their water although few have heard of or have access to any methods of treatment. One method that was commonly mentioned was WaterGuard, a single-use chlorination purification method, which many of the villagers disliked because it changed the taste of their water. 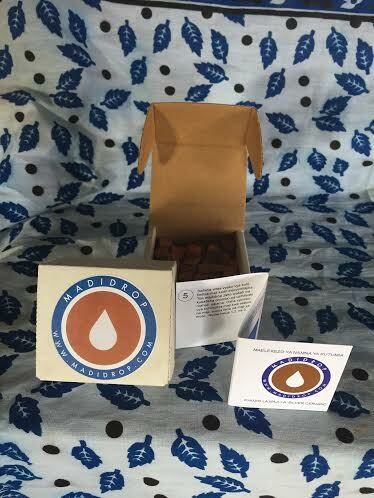 Based off the interviews, the MadiDrop was looking like a good fit as it is low-cost, highly durable, easy to use, and doesn’t change the taste, smell, or color of the water. The next phase to come was an introduction of the MadiDrop in the school, which would be the first time safe drinking water would become available at the primary school. The following phase was to be water education both in the school and with the members of the households followed by the Willingness-to-Pay study. Update No. 2 from Team Maji Safi na Salama!